Take an easy stroll down your tree lined street to buses with easy access NAIT, MacEwan and the University of Alberta which are all near by. We also enjoy easy access to the Stadium, Coliseum, West Edmonton Mall and Edmonton’s downtown. Pictures may be slightly different than actual but comparable. This 2 bedroom suite with its well planned layout, has lots of room to relax and unwind after a long day at work. Big and Clean with large windows!! Utilities: Heat and water Included - pay only for electricity! Bachelor Suite also available in the building! Close to NAIT, Kingsway Garden Mall & Yellowhead Freeway, it does not get any better! Glenrose, Royal Alex & Lois Hole Hospitals; Downtown, Victoria School of Performing & Visual Arts, Fire Hall, Police Station, Public & Separate Schools, Arena, Rec Centre, Museum, City Archives plus so much more is in this area. This 112th Street location couldn’t be better. A few blocks to Oliver Square! A stroll to downtown Edmonton! All the stores and services are just steps away. Major bus routes are practically out the door. Downtown and University of Alberta are within easy reach. High-End restaurants, bistros and shops are right along 104 ave, and the arts district is close by. So is the river valley. All in all, this is a marvelous area where you will feel at home! We're confident you'll love it here! CALL Today and arrange a visit!! Buses are at your feet! Downtown and River Valley close at hand! Professionally managed Building by people who Care! 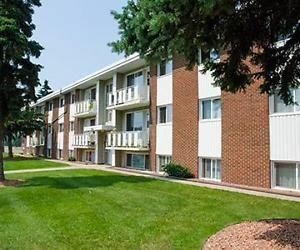 Very generous 2 Bedroom Suite!